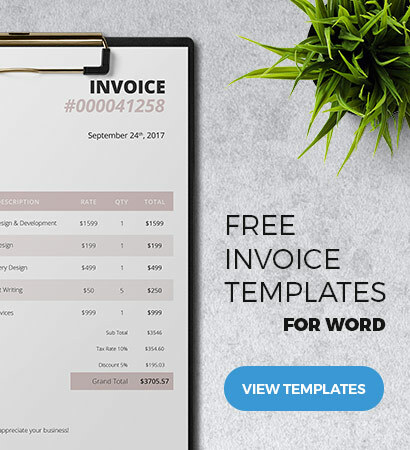 Searching for a simple but unique invoice design for your profession or business? Then this free template in MS Word format is what you need. It features a streamlined and clean layout so you can clearly see all the important details and particulars in the statement. It also has a nice touch of light gold to give it a livelier appearance making it more inviting for clients to do more business with you. 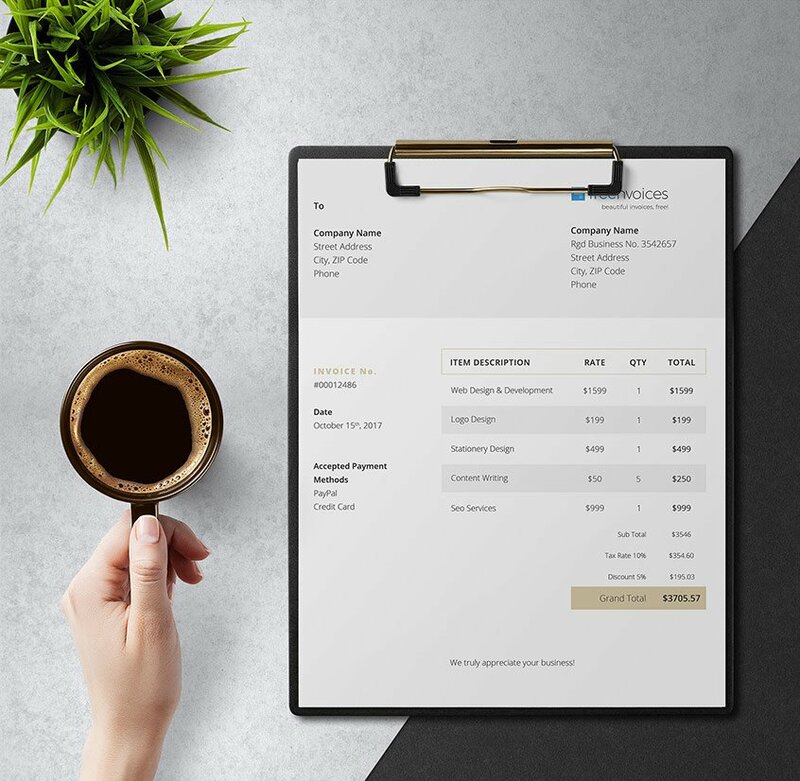 How do I open and edit my invoice template? Our templates are delivered in zip format, containing multiple files. Most operating systems now offer built-in file extractor utility but you can make use of external unzip software such as WinRar, 7zip or such. The Zip file contains a documentation with detailed instructions and any font requirements for you to start making your invoice. Fonts are free to download using the links included in the instructions. Microsoft Word (2007 or higher) is required to open and edit the invoice template. Why the template seems different than the preview? Be sure to download and install the fonts listed in the documentation before opening the template otherwise MS Word will replace them with your default system fonts.